Let this Cup Pass - Did Jesus Change His Mind? 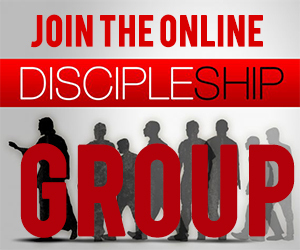 You are here: Home / Redeeming Theology / Let this Cup Pass – Did Jesus Change His Mind? Let this Cup Pass – Did Jesus Change His Mind? O My Father, if it is possible, let this cup pass from Me; nevertheless, not as I will but as you will. Though none of us can fully comprehend either the physical or the spiritual suffering that Jesus was about to endure, such a prayer by Jesus confuses many people. Up until this point, it seems that Jesus has known full well what He would face on the cross, and went toward it willingly and resolutely. And yet now it seems that He is praying for a way around the cross. When Jesus prays, “Let this cup pass” is He asking for an alternate route to redemption? While some pastors and scholars just say that such a prayer reveals the full humanity of Jesus, I am not sure the answer is that easy. I do not think Jesus changed His mind. First, the plan of the cross had been established from the very foundations of the world. In Ephesians 1:4, Paul writes about this plan. The fact that it would include the slaying of God’s own Son is recorded in Revelation 13:8. Before Jesus was even born, He knew that He must die on earth. Second, numerous times during His ministry, Jesus spoke of His coming death in graphic detail and referred to it as “drinking the cup.” In Matthew 16:21 Jesus began to teach His disciples that He must go to Jerusalem to suffer and die (cf. Matt 17:22-23; Luke 9:22). He even knew many of the details, that He would be arrested, condemned, mocked, whipped, spit upon, and killed (Mark 10:32-33). Furthermore, He occasionally used the imagery of drinking deeply from a cup to describe this painful suffering and death He would endure (cf. Matt 20:22-23). Also, in an earlier prayer, He stated that He would not pray for God to save Him from the suffering that was to come (John 12:27-28). Part of the problem is that we do not understand the Passover imagery which Jesus was using. Jesus and the apostles had just come from eating their Passover meal, during which time they would have drunk deeply from four cups of wine. At that time, the table would usually share one, large, communal cup. The custom was that when the cup came to the place you were reclining, you must drink from it as deeply as you could, before passing it on to the next person at the table. Before you could “let this cup pass” you had drink deeply from it. Jesus was not asking God to let Him avoid the cup, but was asking to let Him take on as much of it as He possibly could, and if possible, if it was God’s will, to let Him drink every single drop, down the bitter end. This is how the statements about not doing His own will, but the will of God, are to be understood (Matt 26:39, 42). Jesus was not praying to bypass the cup of pain and death, but was praying to end the reign of sin and death once and for all, in Himself, on the cross. Jesus was praying to finish the plan, to bring it to completion. Was He looking forward to the pain and suffering? Of course not. But nor was He shying away from it. The seeming conflict between the will of Jesus and the will of God in Matthew 26:39, 42 was not, I think, in the will of Jesus, but in the will of God. It was God who was “struggling” with what to do; not Jesus. God was having to face a decision on whether He would let mankind suffer for our own sin, or if He would take all that sin and pour it out upon His one and only, perfectly righteous, everlasting Son. If He did that, their eternal relationship would never be exactly the same. Which of us could ever make such a decision as God made here? He had to decide between His own Son, and all of wretched, sinful, rebellious humanity. God, this is why I have come. This is why I am here. This has been our plan from the very beginning. I want this. I want to drink this cup. I want to drink it fully. I want to drink every drop. I will not pass any bit of it on to the rest of humanity. I want to drink fully of the cup of your wrath (cf. Jer 25:17-38; Isa 51:17-23). This is how much I love them. This is how much I long for their redemption and forgiveness. Let me do this. This is my will. But ultimately, God, it is up to you. It is your choice. If Jesus was uncertain of anything, it was not His own will to drink of the cup, but of the will of God to take the sin of all mankind and pour it out upon His Son. In His prayer, Jesus was asking God to finish what they had started. This is what I love so much about Jesus. He truly is our Great High Priest, the Mediator between God and man. 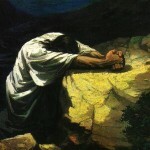 He did not try to pray Himself out of the pain and suffering of the cross at the last minute. No, He embraced it to the very end, praying and pleading with God to stay the course, despite how painful it would be for both of them to sever their relationship, and make Jesus become sin for us (2 Cor 5:21). Oh, and by the way, I don’t think God hesitated for a second either. Jesus says that if we have seen Him, we have seen the Father. Therefore, God the Father loves us just as much as Jesus does. There was never any question about what would happen on the cross. Jesus did not change His mind about the cross, and neither did God the Father. Together, they endured the cross, despised it’s shame, so that Jesus could once again sit down at the right hand of God the Father in heaven, and we could be offered eternal life. The word used in Matthew 26:39 for “pass” is parerchomai, which can be translated in a variety of ways. It is used, for example, to speak of the coming to completion or the inability of God’s word to pass away until all is fulfilled (cf. Matt 5:18; 24:35; Mark 13:31; Luke 16:17; 21:33). I am one of those individuals, however, who thinks that in cases such as the Passover meal, and in His prayers, Jesus spoke in Hebrew. 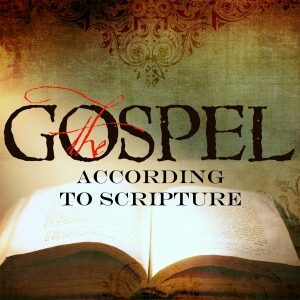 What we have then in the Gospels is a Greek translation from the Hebrew that Jesus spoke. There are numerous references in the early church to a Gospel written in Hebrew. So in Matthew 26:39, in place of the Greek word parerchomai, the Ginsburg Hebrew New Testament contains the Hebrew word abar, which means “to pass through.” This is crucial word in the account of the Passover (cf. Exodus 12:12, 23). In that account, the Lord “passed over” (Heb. pesach), the houses of the Israelites which had blood of the lamb on the doorpost, but He “passed through” (Heb. abar) the houses of the Egyptians which did not. It appears that when Jesus prayed to let this cup pass, He used the word abar. He was not praying to escape the pain and suffering, and have it pass over (pesach) Him, but was praying to take it on fully, to experience the pain, death, and suffering of the cup of God’s wrath. This fits perfectly with the Passover imagery. Jesus, as the Lamb of God slain before the foundations of the world, takes on the full brunt the punishment for sin, allowing His blood to be put on the doorposts of all who believe in Him, so that punishment passes over them. Bro, excellent piece. Makes complete sense. Thanks Aaron. I am enjoying your “New Inklings” posts. Great article however your interpretation doesn’t match up with Lukes account in chapter 22 where Jesus actually requested “Remove this cup from me”- KJV. Thank you for your explanation. It makes perfect sense now and this interpretation is consistent with other verses in the bible such as Heb 5: 7-8 and John 12:27. That would be a complete contradictory of His Word. It was the temporary separation. I understand the metaphor, but I still don’t see how Christ’s statement implies a desire to drink the cup dry. If he wanted to drink to the bottom of the cup to taste the worst, wouldn’t he say “Let this cup NOT pass from me?” As in, let me finish it. What am I missing? Also, does your analysis hold with Christ praying that the “hour might pass from him” in Mark 14:35? But that is not what He meant. The opposite in fact. Truly, Jesus does pass on the cup to us, but only after He has drunk it all. So we get the fresh, new wine. Jesus is praying, “Let this cup pass from me after I have drunk it all.” Hope that helps a bit. No written sources. Sorry. I learned it from Dr. Jay Quine, one of my seminary professors at DTS. So all I have are my sketchy class notes. I suppose he could be wrong. So If I find better documented resources, I will post them here. It is an interesting take on what Jesus said. It certainly explains Jesus’ request. Hey, I realize this is an old post but I did want to provide a reference for your article. Craig S. Keener stated in the IVP Bible Background Commentary that, “Each person did not have an individual cup; they customarily passed around one cup” (Keener, 1993, p. 175). This statement was in reference to Mark 14:23 when Jesus was having the Passover meal with His disciples. Hope this helps. God bless! That does help. It supports some of what I was saying here, right? Thanks! Your right Jeremy, thank you for confirming what I always believed, that when He set his face like flint to enter Jerusalem, knowing what He had to face, there was no way He was going to change His mind. What we do not know is the conversation he had with His Dad. Did His Dad say “Son, you don’t have to go through with this” Jesus may have said “it’s OK Dad their worth it, aren’t they” “yes Son they are, see you later”. I do believe that Jesus and the Father had a conversation very similar to the one you have presented there. That is how much they both love us! was sweating blood which certainly suggest someone agonizing over something. Yes, though He went willingly, He still agonized over the pain and suffering He was about to experience. Scripture does not say that Yahshua sweat great drops of blood, but that He sweat as great drops of blood. If He indeed sweat blood, His clothing would have been blood soaked before He was even led to the Sanhedrin. The soldiers certainly would have had no problem in identifying Him as Messiah. My opinion only. Good reads all around, thank all of you for the probes. I like this perspective a lot. I posted the link in my group and the funny thing is, I can’t get anyone to read it. Maybe afraid to challenge their long held beliefs??? This is a very open minded organic group. I don’t understand it. I keep popping back to the top trying to get some to read but they won’t. What about the sweating of blood?? That certainly signifies much distress?? Thanks for posting it in your group. Anyway, yes, Jesus certainly agonized and was distressed about what was going to happen to Him. He had certainly seen people crucified, and knew what was going to happen to Him. Not only that, but bearing the sins of the whole world on Himself was nothing to take lightly either. So this explains the drops of blood. The scripture doesn’t say that he sweat blood but that his sweat was like (meaning similar too) great drops of blood. Blood is thicker than water so this tells me that he sweated profusely as he agonized over his situation. Blood is also sticky and cannot easily be wiped off. If our Lord actually did sweat blood it would have been on his clothes and his face and if this was the case one would think there would have been some response to that. Someone would have asked, “are you hurt?” “where did all this blood come from?” I think he just sweated an awful lot which to me adds more to how much he was actually agonizing because it was also cold. So to start sweating in a cold environment, to generate that kind of heat from within oneself, Christ must have really been burning from within in agony. I think the distress Jesus was feeling that caused Him to sweat blood was the unknown to Him. Jesus was fully prepared and willing to suffer the extreme physical pain and torture ahead of Him. He knew what was going to happen, He surely had experienced physical pain before, after all He was a carpenter and used tools. He hit his thumb at least once with a hammer right. But Jesus had never experienced sin or separation from God. I think this is what caused Him such great distress. My point being Jesus had experienced physical pain while in this earth, but had never experienced sin or separation from God, EVER! Great point. The righteous, holy, perfect God, becoming sin for us, is certainly a point of anguish for Jesus. Knowing that he was going to be separated from God, and forsaken by God would have been a source of much distress. I appreciate the thoughts in this piece. Could you give some sources for your point about passing the cup and drinking the dregs as customary before doing so? It feels right spiritually speaking and the idea of ‘passing the cup’ as a parable from everyday life fits with how Jesus taught. I does seem very likely that this is one (of several) metaphors that we miss because our traditions are not the same. I would definitely like to read more about the tradition. There was a talk in church today about this scripture from a member of our regional High Council. He spoke about how Jesus emptied the bitter cup without becoming bitter as another example to us of how we should strive to be like Him. I like the double layering of praising the greatness of the Saviour and seeing His life as a pattern for ours – even if in this case our ‘dregs’ are limited and his covered humanity’s and there is a huge difference there. I know of no commentary that takes this view. 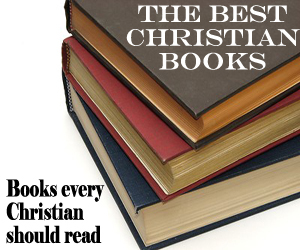 I learned it from a seminary professor who has not written a commentary on it either. I do not know where he learned it. Are you saying that Jesus thought He was going to die in the Garden while he was praying? Heb. 5:7 He prayed, was heard, and saved from death! Yes, I agree with the scriptures… Jesus was offered a “cup of death” by His Father. He was surrendered and willing to drink it, if it be His Father’s Will. Jesus proved that He loved the Person of His Heavenly Father more than even the Plan which was for Him to go to the Cross, be the Saviour of the world, and purchase for Himself His Bride with His own Blood! I’ve heard only one person teach this view, which makes more sense to me than all the rest of commentaries put together, moreover it has changed my life, and given me a deeper understanding of the relationship between the Father and His Son of Love! I want to thank you for your incredible description of the crucifixion & scourging process. It left an eternal impression on my heart & mind, for which I am very grateful. I have never heard this view before. It is interesting. Question and challenge. Can you or anyone else point to any event in the life of Jesus (other than the Garden of Gethsemane) to which Heb. 5:7 can apply? Once this point is settled, the scene in Gethsemane makes perfect sense. Well, the way I have always understand that verse is that He was saved from death through resurrection. But you think he was saved from death in the garden, and then still went to the cross and died? So did God create hell and heaven and then come to earth and then die for our sins and suffer from his own wrath for three days in hell? Why did God have to make such a big sacrifice? Couldn’t he forgive our sins directly? Please reply. In the Bible Old Testament says that whoever dies on the cross is accursed by God. Does that means Jesus was accursed? Also can you please explain how it is possible to be God and human at the same time because God is powerful while humans are weak? Wow. Good question. Yes, Jesus was accursed. He actually became sin for us (2 Cor 5:21). As for how Jesus could be both God and human at the same time, this is one of the greatest theological debates in Christian history, and I do not have an adequate way of explaining it. This doesn’t mean it isn’t true; it just means that our weak human minds cannot understand it. As far as I know, Jesus is at the same time God – because of his mission, and man – because of the humanity he had (his flesh, fears, etc.). I think that is actually an argument in favor of the view I am presenting. God and Jesus did not have two different wills in this matter, but were of one mind and one will. I just read your commentary, and the exchange with Pete. 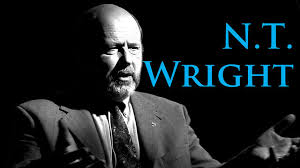 I have had his viewpoint for a very long time,and It makes complete sense for me. Look at it in the light of what he told the apostles in the garden when they could not stay awake…. The spirit is willing, but the flesh is weak. He knew this, because He was going through it Himself, as His flesh-complete humanity-was giving out under the stress of the situation, but His will was to complete the task. It has always bothered me that preachers would teach that Jesus was weak enough to back out of a plan He knew of since eternity past. It also requires that at one time, God was opposed to His own will. Thanks, Mark. I agree with you (obviously). Certainly Jesus did not look forward to the pain and suffering He was about to experience, but He had known this from before the foundation of the world, and so I cannot imagine that the knowledge of this was making Jesus change His mind now. Word. The Word was with God and the Word was God. That is past tense. Then he became a man. Philippians states that Jesus gave up equality with God to become a man. If he was no longer equal with God, then he was no longer God. Jesus stated he was doing his Father’s will not his own. He stated all power was from God which means he didn’t have the power himself. Jesus was tempted. God cannot be tempted nor does he tempt anyone. God and sin cannot co-exist. Jesus was around sin everyday and bore man’s sin. Jesus died. There was no on off switch. Now he is God, now he is not. Situational God? I don’t think so. 3. Jesus did not sweat blood. He was sweating as if he was bleeding. Sweat was pouring out in the same way blood flows when we bleed. There were no broken capillaries, no red to it. It was clear sweat like everyone sweats. It is a figure of speech. More specifically, it is a simile. And now finally a question… How does the cup passing relate to God forsaking Jesus? I have explanations that satisfy me for all your questions, but to provide them would take a very long comment. Maybe if you want these questions answered, you could submit them using the “Ask a Question” section on the sidebar? Then maybe I can answer each one later as I have time. Same with your other question below. Another point. I have heard all my life that God turned His back on Jesus and that is why he was forsaken. Psalms 22 discribes the crusifiction and then in 22:24 states “For he has not despised or scorned the suffering of the afflicted one; he has not hidden his face from him but has listened to his cry for help.” Does this not refute the notion that God turned his back on Jesus? Christ came to gather the lost sheep (tribes carried off because of their fornication). Jeremiah 3 explains this. Under Law, a man could not return to a divorced wife…that would defile the land. however, if the husband died, then the wife was no longer under the Law and she could remarry. In Numbers 5, if a wife was unfaithful, or if a husband suspected his wife of being unfaithful she was to drink from a cup of bitterness. If she was guilty, her stomach would swell and her thigh would waste away. Christ drank that bitter cup, was forsaken by God and cursed by his people. His body swelled and his thigh wasted away(his thigh supported Him on the cross in order for Him to breathe) With Christ resurrection, God was now able to RE-NEW His covenant with Israel and gather the lost sheep. You have merely reversed their positions on the matter. Either Jesus wanted to go to the Cross and God was having 2nd thoughts or Jesus was having 2nd thoughts and God wanted Jesus to go. I don’t see how your argument changes anything. At this site you will find Harry Conn’s explanation of this topic on whether or not Jesus was afraid of the Cross. I think that at any rate we can agree He did not shy away from physical pain. I ask myself what was the greatest treasure Christ possessed, what one thing would He never want to lose. That, I think, would be His wonderful communion with the Father that He had for so, so, long. Just because He was willing does not mean He was eager. Jesus knew what was coming and did not desire it. That He went anyway is a testament to His love for the Father and for us. Thank you for this post. This is the first time that I have seen anything that explains that “passing the cup” means to drink of it fully before passing it on. I would like to find some original sources of that custom. If you know where I can find them, could you please pass them along? Thank you. As a heathen, my interpretation is that you are trying to have it both ways;–whichever is most convenient at the time;–“equivocating” in other words. How on earth can anyone get to the bottom of what really happened (if anything) when any one is free to interpret as they please, even to the extent of coming to the opposite conclusion about what “passing the cup” actually means? Most if not all the information in the gospels was witnessed by the apostles (including Mary Magdelene) even though none of the apostles actually wrote the gospels. Jesus was alone in the garden when he supposedly said this. Who was at his side to bear witness to this comment? Well, there is “clear” in English, and then there is “clear” in Greek. Our English translators take difficult phrases in Greek and give their spin on them by trying to clarify them for English readers. “For this commandment which I command thee this day, it is not hidden from thee, neither is it far off. 12 It is not in heaven, that thou shouldest say, Who shall go up for us to heaven, and bring it unto us, that we may hear it, and do it? 13 Neither is it beyond the sea, that thou shouldest say, Who shall go over the sea for us, and bring it unto us, that we may hear it, and do it? 14 But the word is very nigh unto thee, in thy mouth, and in thy heart, that thou mayest do it.” God bless! The Holy Spirit, who inspired the apostles to in fact write the gospels, which they did. This is also how Moses was given details of the garden of Eden, etc. 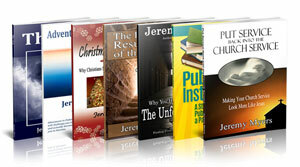 The Holy Spirit reveals the necessary things of special revelation to God’s chosen writers. This is a related question to the main topic of this blog post. Although I’m not fully convinced either way; I find it difficult to believe that the nature of Father God would change (or wasn’t changed) and, Father God, “HAD” to turn His back on His Son. What is the possibility that Father God Did Not Forsake His Son? And Christ Jesus, being man (being in the flesh) was unable to, “feel” God’s presence, concern, care, love for Him at this stressful time? What if God really was there all along , and Jesus just proved his humanity by this question to His Father? Michelle, For me your “questions” are statements. Not too many people express similar beliefs. Thanks. I was wondering why Jesus would conclude his prayer with “nevertheless not what I will, but what thou wilt” if He was asking exactly what the Father willed. Great question Mica. The answer is, He wouldn’t. I don’t see any way to avoid that Jesus was looking for plan B to accomplish the same thing. I certainly don’t begrudge Jesus for saying such prayer, nor do I think less of Him, nor do I see it as any sort of theological problem. Whatever layers of meaning you want to try and work into the meaphor of the cup… what Jesus was asking was something He knew may not be part of the will of the Father, which is counter to your argument, since Jesus drinking deeply of the cup would exactly be the will of the Father for all the reasons you mention. Jesus humbled Himself on earth to know only what the Father told him, and he knew clearly in this case he was praying for something the Father might be unable to answer the way he hoped it could be answered, humanly speaking. But we know that it was ultimately answered from Hebrews 5:7. Just not how He humanly hoped in Gethsemene. Sorry Jeremy, I do not think I am buying your answer. The “nevertheless not my will but yours be done.” Indicates it was God’s will that he should die as was predetermined from before the earth was. This was the cornerstone of God’s predetermined will to reestablish the Kingdom of God. Jesus asked 3 times for this cup to pass. Once would be enough but just as Paul’s thorn in the flesh was prayed for 3 times, the answer was no. The plain meaning of the text is that Jesus did want to “change” his mind. Hard for me to believe that he would get cold feet, but the good news is that his love, revealed in his obedience to God the Father, overruled his will to not go through the pain and suffering he did. It was the will of God and the Joy set before him on the one hand (us being saved), and his upcoming agony on the other side. He made the only choice he could and remain a loving son. The story is about obedience regardless. Had God granted his son’s request, we would be in a permanent state of hopelessness. Thanks Jesus. Your view is the the most commonly held, so I won’t argue with you! 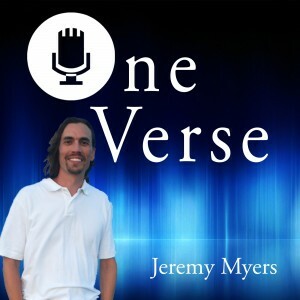 Yes Jeremy, I appreciate your effort to explain this prayer without saying that Jesus had a moment of weakness or that his “human flesh” was crying. I cannot imagine Jesus being weak in front of death! Jesus is one with God. 1- God was hoping for His Kingdom to be established in Jesus’ time as announced (Isa 9:6-7; Luke 1:31-33; Mat 4:17) So Jesus is sorry God’s pain will continue for more than two thousands years until he returns. 2- Jesus knew the Jewish people (the House of Jacob) would be destroyed and killed for their mistake of not receiving him (Luke 19:44). Jerusalem was supposed to become the place where God is living. Jesus was sorry Israel that God so loved for 2000 years would be scattered. 3- Jesus could foresee the tremendous hardships his followers would have to go through. Jesus agonizes because of these 3 reasons (Mat 26:38). 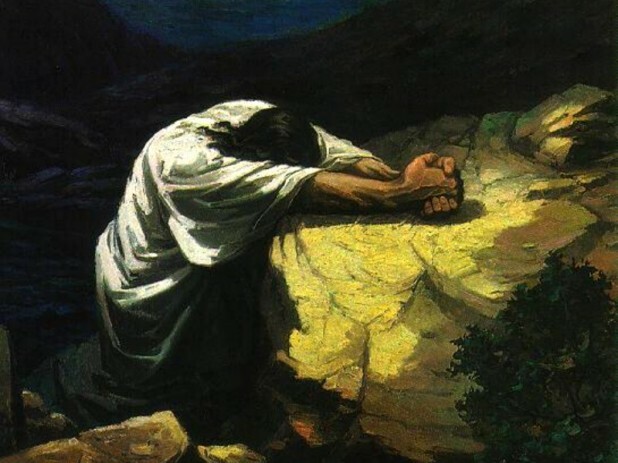 He is praying: “Is there still a way the Kingdom can be accomplished without the cross?” Jesus is thinking of God’s pain, Jewish people’s pain and his future followers’ pain. 23‘The priest shall then write these curses on a scroll, and he shall wash them off into the water of bitterness. 24‘Then he shall make the woman drink the water of bitterness that brings a curse, so that the water which brings a curse will go into her and cause bitterness. 25‘The priest shall take the grain offering of jealousy from the woman’s hand, and he shall wave the grain offering before the LORD and bring it to the altar; 26and the priest shall take a handful of the grain offering as its memorial offering and offer it up in smoke on the altar, and afterward he shall make the woman drink the water. 27‘When he has made her drink the water, then it shall come about, if she has defiled herself and has been unfaithful to her husband, that the water which brings a curse will go into her and cause bitterness, and her abdomen will swell and her thigh will waste away, and the woman will become a curse among her people. 28‘But if the woman has not defiled herself and is clean, she will then be free and conceive children. I’m trying to find where it tells about the Messiah’s abdomen swelling and thigh withering away. I remember reading theat , but cant find it. Great effort. However, I’m unable to understand why you’d gone so far looking for an answer, while it doesn’t require such a long journey. Why don’t you simply say that he was prying and requesting the (creator) to solve this problem for him (not as he thinks or pleases, but as the creator wills). To me this verse carries a hug meaning. It shows a road map for all humanity, to show us an example of how to live by God’s plan. as i love all types of ideas and thoughts and can bring light to the word of God, i do believe this is a stretch. First off. i believe Jesus being human and having a hard time with death and pain makes his sacrifice that much more of a great work. i Think it is very clear to us what Jesus was saying, and it should give us great hope that when we pray in our flesh we pray in weakness therefor we much pray in the Spirit and Gods will be done. I regret to say your interpretation is TOTALLY WRONG. Jesus anyway obeyed his Father and was willing to die. And no we can be saved through his death. But He do said ”Father, if it is possible let this cup pass from me..”. He knew it was not possible, but he do pray to his Father as the scripture has shown, and not as you have interpreted. I agree and disagree with you. I think the real question is … What is the cup that Christ asked about? I do not think it was the anguish and pain that he knew he was facing. I do not think that Jesus came to this point in His life and had second thoughts about His destiny. If you recall, the Bible states that He came to seek and to save those that are lost. The only way for that to occur was by His blood sacrifice on the cross. The Bible also states the He is the same yesterday, today and forever. He came for a purpose. He didn’t change His mind. The Bible also teaches that He and His Father were one. To see the Father was to see the Son. To see the Son was to see the Father. In the garden, Christ knew that at the moment He took upon Himself the past, present and future sins of mankind … That His Father would forsake Him. For the first and only time in the realm of eternity, Jesus would be separated from His Father. We all know the story. The sun turned dark and the earth trembled when that occurred and the Son and Father were separated. That separation …. was the cup. I believe that Christ was crying out to God …. Father, is there any other way to accomplish salvation for mankind. If so let this …. Cup of separation …. pass from me …. but Thy will be done. Our relationship with God should be so strong that we too would cry out at the very thought of being apart from Him. I am looking forward to learning more about Jesus!!! I’m excited!!! I agree ,Jesus and The Fathers will where one ,He came for the purpose of going to The Cross nad dieing for us,If you look at His whole love on earth He was always in pursuit of it. Here is a link to some great information. I also personally believe the devil tried to keep Him from The Cross through temptation and trieing to kill Him. I don’t think satan tried to keep Jesus from the cross, for Paul writes in 1 Corinthians 2:8 that if the powers of this world had known what would happen through the crucifixion, they would not have crucified Jesus. Thank you so mich for this article. The idea of Jesus suddenly appearing to get cold feet has always bothered me as well. But just because it bothers me doesn’t mean it isn’t true. I mean, the Father’s loving discipline is frightening enough. His wrath, which those of us who have trusted in Jesus will never experience, must be utterly terrifying beyond what we could ever begin to imagine. My issue for me is Matthew 26:42. “If this cup cannot pass away from me unless I drink it.” While I really prefer your reasoning, I can’t go with it since scripture seems clear to me. Unless the English translation is wonky, it’s clear (to me) the issue was whether the cup was going could pass from him without him drinking it. However, your explanation of the Passover cup brought new depth into this passage. I can almost imagine Jesus holding that cup, painfully drinking it down, and it being so excruciatingly painful that His human flesh doesn’t want the dregs. But the Father sends strength and for the joy set before Him, for love, and for the Father, He gulps it down completely. Either way, it’s not a huge issue and I appreciate your obvious love for Jesus! Your love for God is plain to see! Praise Jesus for going through with it – either way He willingly took the wrath of God so we wouldn’t have to! One day we can ask Him face to face! Yes. Jesus knew why He came. Could He suddenly regret coming and want another way out? Hardly. Glad you see that Jesus was not praying for a way out, but rather for the courage and strength to do what He came to do.